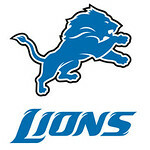 In a huge Sunday night game, the Detroit Lions travel across the country to take on the San Francisco 49ers. Detroit and San Francisco both play out of the NFC. Both teams also made the postseason a year ago. The Lions are 1-0, and tied with the Bears and Vikings atop the NFC North. Detroit downed St. Louis on Sunday afternoon. San Francisco is the huge favorite out of the NFC West; and are also 1-0. The 49ers went on the road and knocked off the Green Bay Packers in their opening game of the 2012 season. Have you made your pick for this NFL game already? If so bet on it now at this bookmaker. The San Francisco 49ers are looking for a second straight divisional title. Last season, the 49ers ran away with the division, and then fell one win short of reaching the Super Bowl. This season, they appear to be on track to do the same, and possibly more. The 49ers defense has been excellent, and was again on Sunday. The 49ers held Green Bay to no points in the first and third quarters of the game. The offense as a ton of new weapons, and continues to be anchored by the speedy Frank Gore. Gore rushed for 112 yards in the win over the Packers. San Francisco plays their next two games on the road; making three of their first four games away. The 49ers and Cardinals were the divisional winners during week one. The Detroit Lions saw their quarterback struggle, but were still able to pick up the win. Matthew Stafford threw three interceptions, including one for a touchdown, and one in the end zone. The Lions used two quick touchdown drives, including the final one with 0:10 to win the game. Kevin Smith, Detroit’s top running back caught the winning pass in the game. He finished with 62 rushing yards. Calvin Johnson had a big game, despite not reaching the end zone. Megatron caught 6 passes for 111 yards in the win. The Lions are playing their first of two straight road games. Lions or Niners? Continue on for our prediction or bet on this game now. This should be a pretty good game. In saying that, we feel there is one team that is head and shoulders better than they other. If Matthew Stafford does not figure something’s out, the 49ers will do damage to him in this game. Stafford struggling with the Rams had many people in Detroit scratching their heads. We feel the San Francisco 49ers are going to win this game with relative ease. 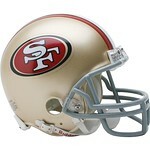 San Francisco will have the defense to virtually shut down Detroit, while the 49ers offense continues to prove itself. We are betting San Francisco straight up at -175, and the 49ers -6.5 as well. As far as how many points are scored in this game, we look for the under to hit. The line is set at 46.5. We think San Francisco will put up 30, but the Lions will only get to 14. We like the 49ers over the Lions 30-14 with the under hitting in this game.